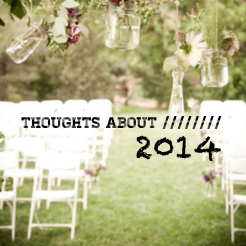 Dear friends, thank you for the many encouraging messages on my post about the important things I sense for 2014. I love hearing from and getting to know my readers! I am excited – 2014 is going to be a year of so many new adventures, and the journey is made sweeter knowing that I have such amazing sisters (and occasional brother) to travel with. The above-mentioned article was a sharing of what I sense God is going to be doing across countries, denominations, age, and language. It was a broad picture, and there are many more details for each of you that requires your faith and prayer to fill in. Another command for me is to go deeper in prayer & intercession. This is something I am taking seriously, and I am committing myself to spend much more time in the prayer closet this year. If possible, I want to spend equal parts of my day in prayer and in work – I’ll really need God’s grace and faith for this one! I grew up in church watching people approach prayer in a way that portrayed a serious, boring, detached, and very ordinary God. As a child/teenager, prayer meetings were the most wasted 2-hours of my week – we literally read out, word-for-word, from a piece of paper with 5 prayer pointers, and called it prayer. I walked away every time wondering if those prayers had made any difference at all. It felt like our prayers had hit the ceiling and just kind of… got stuck there. It also bothered me that if God was alive and loved us, why did we never hear Him talk back? It was frustrating because something in my heart was pulling me to God, but what I saw in church made Him seem totally inaccessible and very non-interactive. I finally concluded that I liked “talking to God”, but I definitely wasn’t cut out for “prayer”! By His grace and relentless love, God eventually did a major re-shaping of my view of Him. I believe prayer is something dynamic that every child of God gets to be a part of. It is a wonderful, rich, exciting world – not boring at all! Because of my background of running away from prayer most of my life, I will start with what I believe to be the true definition of “Prayer”. I will then zero-in (in subsequent posts) on what I have learnt about some types of Prayer and how to hear God’s voice. I will also briefly cover some pitfalls that I have had to work through along the way. The substance of prayer are thoughts and desires that originate from the Living God. It is us, coming close to the heart of God and hearing His heart’s cry, and then crying it right back to Him. Therefore, I have the assurance that the prayers are effective because they came first from the heart of God. It is also in prayer that I get to know God’s heart. Prayer is definitely not boring! Prayer is not a task to be done. When Jesus said, “It is finished,” He meant it. I have seen some people pray as if they have to “earn” a response from God, just like the priests of Baal (1 Kings 18). Prayer really originates from the heart of God, therefore prayer has to come from a place of knowing that the victory is secured because God first desired it. I have found the business of praying both a delightful and a dangerous one. It is delightful because it is the means by which there is constant communication between God and I. It is impossible to go an hour without praying, because I need Him every moment of everyday. Keeping a prayerful attitude, in which my heart is always seeking God’s thoughts and feelings about something/someone, is one of the most practical ways in which I may decrease and He may increase (John 3:30). Prayer has become my lifeline to the Life. I know some people who view prayer as a courtesy act. Unfortunately, these people are often in a place of leadership in the Church. When making a decision, there is a lot of talking, brainstorming and discussion, but prayer is only reserved for the start & end of the meeting – it is seen as the “bookmark” to open and close a discussion, nothing more. It is sad that prayer is seen as “only talking to God”. They do not see the great dynamism in prayer – it is not merely us talking to God, it is God talking back to us and overflowing our hearts with His desires and plans! Over the past few years, I have found an hour of praying far more effective and fruitful than a month of brainstorm-meetings. In both the delights and dangers of prayer, the fundamental principal is that prayer draws the human heart deeper into God’s heart. That should be our end goal and greatest reward. What are some common misconceptions you have heard about prayer? How are you being challenged in your prayer life? Dear Natalie, wow that’s so great – would love to hear more of your thoughts and journey on relearning prayer! Do share.